If your Arizona kitchen is difficult to keep organized, then it may be time to consider a few organizational upgrades. This can help you function better in your kitchen, plus it can give your kitchen better flow. Think about the areas of your kitchen you struggle with most. Do any of them involve trying to keep things put away or out of sight in your kitchen? If so, then here are some really clever ideas to help! Which Organizational Upgrades Can Improve the Feel of Your Arizona Kitchen? When storage is at a premium in your Arizona kitchen, then it is important to think outside the box. Since you have likely used the counters and cupboards, where else should you go? Perhaps your kitchen allows you to look up? Using vertical spaces allows you to add in many organizational upgrades. You can place boxes, tins, or bins on top of your current cupboards. Also, you could go with a library feel and install a ladder, giving you nearly instant access to anything you store up high. Use your imagination! 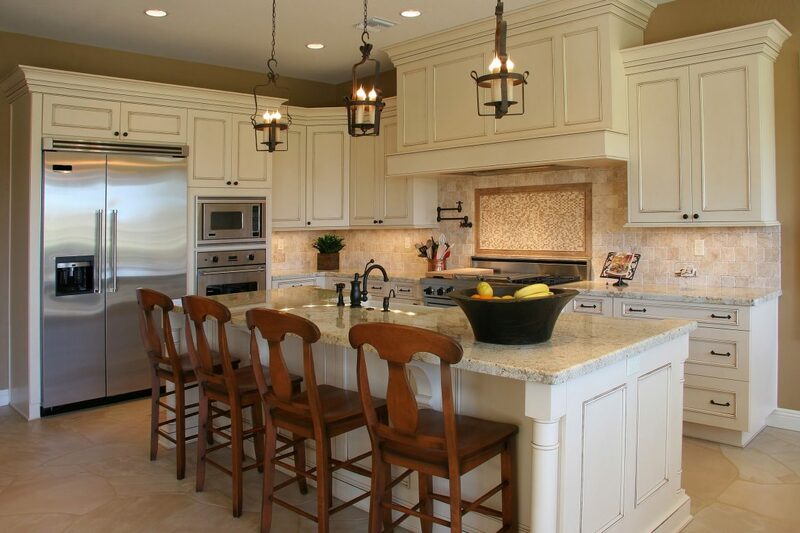 If your Arizona kitchen does not already have one, consider adding an island. Even a small island can give you a lot more freedom in your kitchen. Not only do you get the work surface atop the island, but you also get storage beneath the island. Consider all of the organizational upgrades this could afford you. You could install shelving and use bins to hold your small items. Or, you could install some pipes to hang hooks from, giving you extra places to hang pots, pans, and even coffee mugs. If your island is stationary, then you can also install extra storage above your island. Here you can store papers, towels, light dishes, or even hanging utensils to keep them off of your countertops. When organizational upgrades are what you crave, it is important that you seek out the professionals who know how to help. At Luxury Remodels Company ™, you get years of experience, creative expertise, and people who want to see you achieve your dream kitchen to help you with the process. Bring in the ideas you have. Then, listen as their design experts bring those ideas to life, and include other options you may not have considered. Your Arizona kitchen can be exactly what you want it to be. It just needs a little boost!